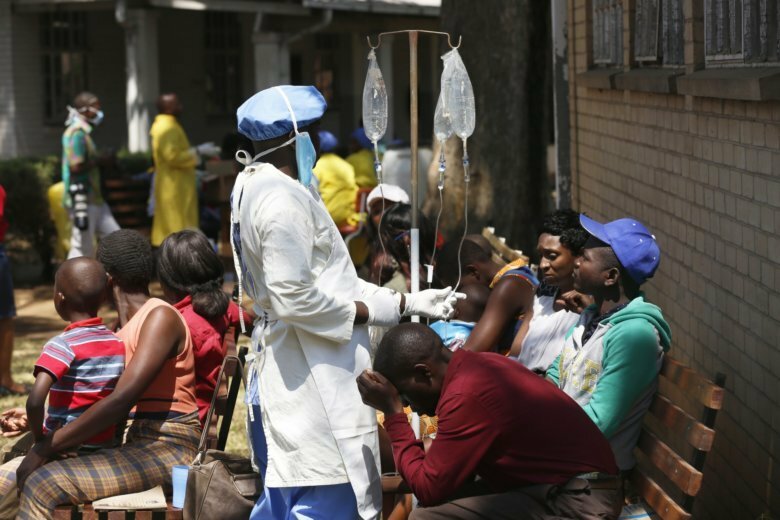 HARARE, Zimbabwe (AP) — Zimbabwe’s police said Wednesday that they are banning “public gatherings” in Harare in an effort to curb a cholera outbreak that has killed 21 people. Police spokeswoman Charity Charamba said in a statement Wednesday that the ban aims to alleviate “the continuous spread” of cholera in the capital, where the government has declared an emergency. More than 4,000 people died in a cholera outbreak at the height of the southern African country’s economic problems in 2008. Since then, water and sanitation infrastructure has been collapsing. The government has adequate stocks of medicine and is taking steps “to ensure that we do not go back to the 2008 situation,” Moyo said. “It is essential that vending stops … and police are coming in to help with that,” said Moyo. The cholera outbreak highlights the failure of Zimbabwe’s government to maintain basic public health standards, said Amnesty International.